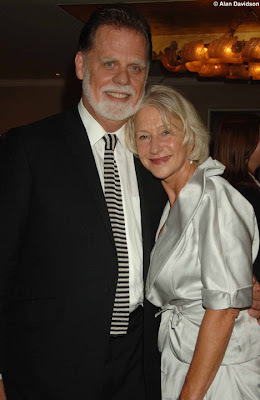 Helen Mirren jokingly chides her husband, Taylor Hackford, for flirting with a wax figure on Tuesday (May 11) at Madame Tussauds in London, England. The 64-year-old Oscar winner is the latest celeb to be honored with a wax figure! According to the UK’s Daily Mail, Helen helped with the creation of the figure and donated the Asprey dress the figure wears! More than 300 measurements were reportedly taken to make sure the figure was just right.